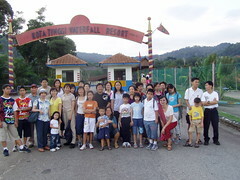 The LAS Programmes & Social Committee organised a day trip for 33 LAS members and their family to Johor and Kota Tinggi on 3 June 2006. 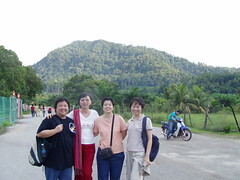 The trip lasted from 8:30am to 9:30pm and was led by Ms Lau Siew Kheng. Cruise @ Kota Tinggi River to see millions of fireflies! What did members have to say about the trip? “An interesting and relaxing trip. 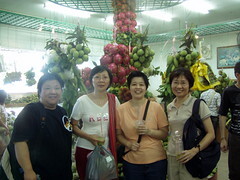 At the Desaru fruit centre, we saw the biggest mangoes ever and wondered if they were genetically altered! 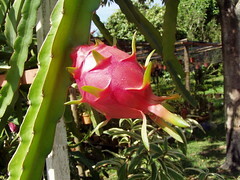 We also saw the unusual dragon fruit plant. It’s like a cactus. We tried the red variety – beetroot red and very sweet. The trip was great value for money, $50 for LAS members,$60 for non-LAS members and $40 for children below 12. Everyone found the trip, fun, fruitful and enjoyable! Thanks to Siew Kheng for the thoughtful notes and reminders sent before the tour and especially for organising the trip.